"Fun way to acknowledge coworkers"
Sign in to G2 to see what your connections have to say about HeyTaco! "A quirky form of reward"
This is such a simple and clean way to recognize people in an informal way. I like its use of emojis and tweet-style notices. The necessity to incorporate it into other apps being used by the company. For example, pushing HeyTaco! into #Slack is seamless, though I would like to use it in its own platform. This is definitely a more laid-back application, so it is perfect for informal recognition. I would use something more prominent or serious for significant recognition. Also would not be the app for you if you are looking for monetary or physical rewards, like some programs that have a sort of point redemption system,. This gave us the ability to provide simple and quick daily recognition. "Very fun and funny way to celebrate the little things people do!" That IT IS A TACO! Everyone either likes Tacos or appreciated the humor behind the whole taco fab! This product reminds me of getting gold stars in school for doing a good job ! :) This is a simple easy way to give a little 'pat on the back' when you notice good work being done. Nothing so far, I have not been using very long, it is a simple add on for slack. Perhaps down the line adding more food related to tacos, or having a different app with another food type. This product is simple, you are really just using it as a fun way to say thank you! Problems being solved are the lack of recognition that we are able to give, mainly because most of our work is from behind a computer screen. It seems just like giving someone a gold star sticker in school! It's free! HeyTaco is a fun, unique way to recognize your peers (or friends) and gives you a simple way to ensure everyone sees their awesome efforts. It's really easy to use too. Just simply mention their name in Slack with a taco emoji, and HeyTaco will post it immediately. Everyone gets five tacos a day to send to whoever is worthy. 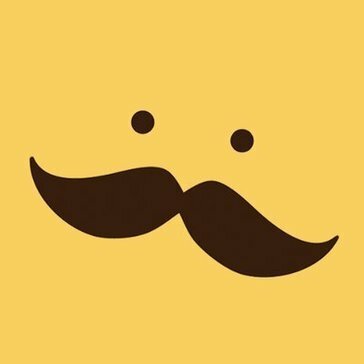 HeyTaco can be asked questions and has fun replies. The leaderboard is really useful, easy to access, and gives you a quick snapshot of everybody's performance on the taco scale. The rewards page has suggested ideas for rewards, such as "front row parking for a month". I don't have much to say on larger teams, but for my small work, it's great that it's free and anyone I work with can choose to use HeyTaco! for rewards. A problem I did have was that it won't allow multiple people to get a taco. (I guess it's one taco per person? Probably like standing in line, I'd imagine.) Other than that, I really like the idea of the app. I haven't tried other apps similar to HeyTaco, but so far I'm thoroughly enjoying it. It's something I'd hope to use more if I decide to build a company one day! I like that I don't have to pay a lot even if I worked with a larger team. It's cool to set up unique rewards that only the best can achieve. Who doesn't like to be rewarded? I certainly do. "Great for informal public recognition"
HeyTaco! enables our team to give recognition to other team members for assisting one another on a day to day basis in an informal manner. This enables individual team members to show appreciation for one another through out the work day for any team assistance they receive that may be above and beyond "the call of duty." It's easy to use and doesn't take a rocket scientist to figure out how to utilize it. For what we utilize this app for, I can't say there are any downsides we've recognized so far. HeyTaco! is amazing for the purpose we use it for, which is informal team recognition. We are able to keep track of team members that have received the most number of tacos without needing to perform any manual calculations. It's great at what is was designed for. Providing an informal way for recognizing team members assisting each other on a day to day basis that may not necessitate a more formal recognition from the whole company, but still warrants recognition between individual team members. This is a hilarious version of getting a 'gold star'. It truly brightens my day to see I was rewarded a taco. It's well implemented into Slack, which my team has used for over a year. I can give more tacos than HeyTaco! limits me to just by using Slack on my phone. This has been beneficial in boosting moral and rewarding those for going the extra mile. We actually provide real tacos to go along with it once per week. "Fun addition to the culture"
Ultimately builds relationships in the workplace. It's a fun and unique gift that you can receive and give. I like that it's limited so it makes each taco a bit more special. There are also these fun little commands that I'm sure the Hey Taco developers have had fun scripting. Try asking for its favorite song, or to dance, or to tell a joke. It's like Google Home or Alexa but within an instant messenger. I also like the design of the addon, it's sleek and modern. The application seems really simple but there is a slight cost per person. It can somewhat create a competitive mood because it builds up over time. Although you can only get 5 tacos at a time if someone has 150 and you only have 50 doesn't feel great. Hopefully, there's no favoritism. But I think this is meant to be light and fun in spirit. And should be freely given to all in an even manner. This app simply brings more fun to Slack and to the team. All you do is send them a taco emoji with a nice message and it's kind of a gold star for your coworkers and or team. I think it brings a sense of encouragement and betterment in the team that is good for any and all businesses. We really like being able to add rewards for the accrual of tacos and being able to distribute tacos based on people going above and beyond. Great incentive tracking tool. I have not yet found any areas I would improve. It is a great tool to distribute incentives. Without this tool, we would be using spreadsheets and gift cards to try and accomplish the same thing, and it would be much more complicated. "HeyTaco is a fun way to engage"
It is easy and fun to send tacos to other coworkers as a thanks or to recognize performance. This tool has helped the team bond and recognize each other's good work. It can be distracting at times, but as long as you know that it's easy to ignore when you need to focus. Sometimes I wish I could give out unlimited tacos though. HeyTaco is a great tool for helping team members recognize each other and show appreciation for good work. I like the theme of this bot - it's relevant to millenials. I also like the collaborative-social media feel because it's relevant to millenials. We are becoming more collaborative - and I like that employees' barriers feel like they are down more on social media-type software - they can openly express thoughts and opinions. The motivation and effort one puts to receive a taco! * We monitor all HeyTaco! reviews to prevent fraudulent reviews and keep review quality high. We do not post reviews by company employees or direct competitors. Validated reviews require the user to submit a screenshot of the product containing their user ID, in order to verify a user is an actual user of the product. Hi there! Are you looking to implement a solution like HeyTaco! ?